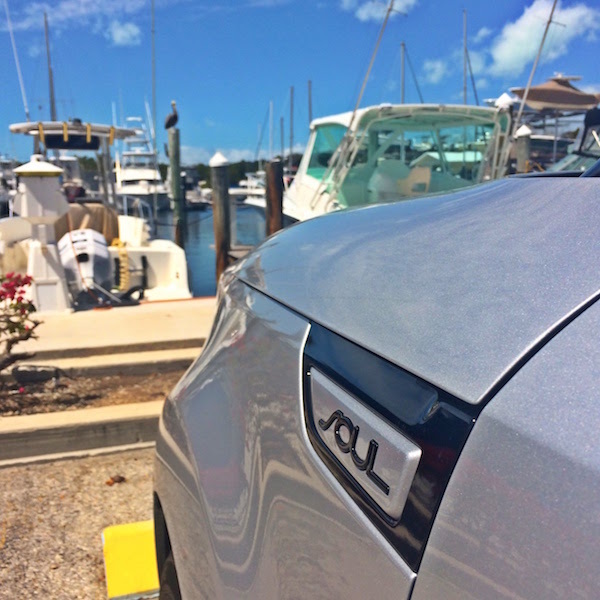 Recently, I took a shiny 2017 Kia Soul Turbo out for a spin in Florida. After zipping around from city to city doing fun things like sky diving and finding drive-through convenience stores, I decided to check in on my family. Soon thereafter, my dad, a Mercedes-Benz driver, asked me to find him a convertible that could seat four adults AND fit four golf bags in the trunk. No small feat. If you play golf, you know how large and cumbersome golf bags can be. Finding any car trunk that can fit four golf bags is hard enough. Adding four adults and a convertible makes the search practically impossible. After coming up short on one thing or another, I started to think outside the box. I decided to give Pops a ride in the Kia Soul to show him the “convertible-like” panoramic sunroof. Offered as an option on two of the Kia Soul’s trim levels, the Panoramic Sunroof is well worth the extra $1K. It offers outdoor views for both the front and back seat passengers and has the option for a power sunshade to keep the car (and its occupants) cool. Dad was impressed. Convertible, check. Seat four adults? Check. The Soul can seat five adults comfortably. In fact, its seats are as comfy as easy chairs—a fact I discovered on a previous test Kia Soul test drive when I packed four other family members inside for a long road trip. It definitely has more room inside than you’d think. Two down, one to go. The hardest part, of course, is fitting the golf bags. My initial thought was that I needed to remove the temporary tire to make more room but first I had to find it. After an exhaustive search, I was perplexed about not being able to even locate it. I even looked underneath the Soul before finally giving up and calling Kia. The answer? There’s no spare tire. Kia has quietly phased out temporary tires in exchange for a Tire Mobility Kit on a few of its newer models. The brand, and some other car manufacturers have realized it’s possible to reduce the overall weight of its vehicles and therefore increase MPG and storage space by swapping out the heavy temporary tire for a kit consisting of an aerosol spray that coats the punctured tire from the inside, sealing it temporarily until the driver can find a more permanent solution. 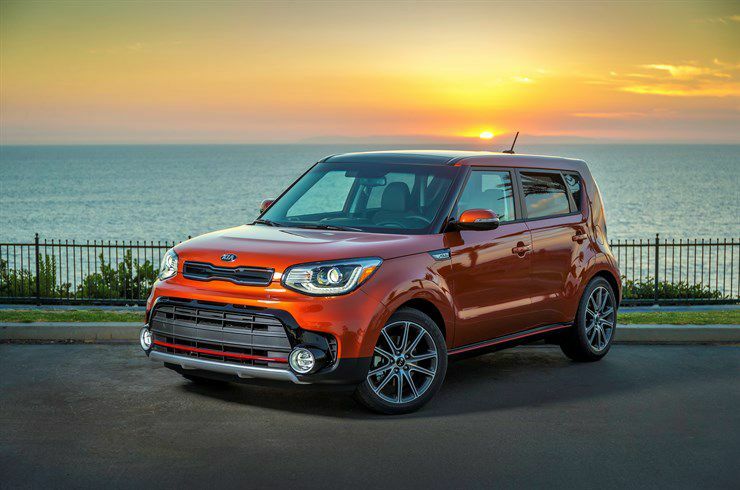 That said, the 2017 Kia Soul Turbo now boasts a combined MPG of 28. And, don’t worry, Kia still offers Roadside Assistance if you’re having trouble. Armed with this new info, I loaded myself up with golf bags and headed back to the driveway. The end result? With the hidden Tire Mobility Kit removed, the Soul easily fit four golf bags vertically with space for at least one more, although a fifth bag would likely obstruct the view from the rearview mirror. It felt like being in a super luxury golf cart! Nope, my dad hasn’t bought one yet but we were both impressed by the Kia Soul’s ability to satisfy a very complicated request. We’ll see how it plays out!